A 4 star campsite in the heart of nature! An ideal setting, between sea and forest! 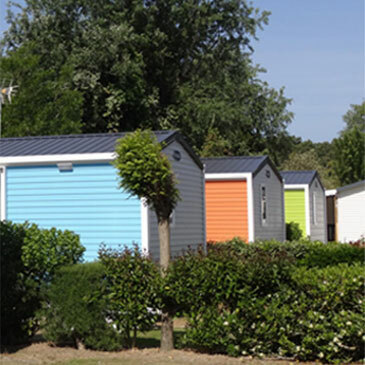 We wish you a warm welcome to Camping **** L’Albizia at Notre Dame de Monts near Noirmoutier and Saint Jean de Monts. Our campsite offers you a sumptuous setting to spend pleasant holidays in our comfortable rentals. We offer several types of accommodation such as mobile homes, tent sites, caravans and motorhomes. To complete your stay in Vendée, the campsite offers many fun and fun activities. In addition, you can enjoy our heated pool! Looking to extend your stay by the sea against the best price? Make use of our long stay offers for the rent of a mobile home. 10% discount for all rents of one week in a mobile home... A low budget stay to spend a romantic weekend! Book in advance to save on your next vacation! - 15% for all mobile home reservations.